Magaña, Cathcart & McCarthy was founded in 1946 by Raoul D. Magaña, who began his practice protecting the legal rights of injured railroad workers at a time when most were not fairly compensated for their losses. Throughout its history, the firm has been privileged to represent thousands of clients, securing substantial awards that caused corporations to consider the safety and protection of consumers in the design and manufacture of their products. Reputation cannot be gained quickly or easily. Magaña, Cathcart & McCarthy’s international reputation was built over decades, through experience and hard work in the handling of injury and disaster cases arising throughout the world. From partners to associates and support staff, the personal injury firm comprises a team unparalleled in education, training knowledge and experience. These attributes are used by the firm in its commitment to establish a close relationship with clients, serving their diverse needs and personal goals. Magaña, Cathcart & McCarthy specializes in all areas of personal injury and wrongful death law, including aviation, automobile, product liability, railroad, construction, medical malptractice and maritime law. 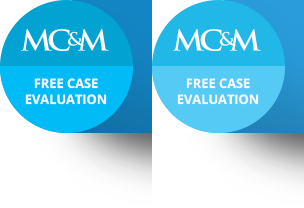 The majority of the firm’s cases are referred by former clients and other attorneys, all people who know the quality of representation delivered by Magaña, Cathcart & McCarthy. When a serious accident occurs, most victims or their surviving families are confronted with an immediate pysical, emotional and financial loss. They are also confrontend with the question of whom to trust. Magaña, Cathcart & McCarthy works for clients as advisor, counselor, confidant and advocate. The firm takes the lead by first talking with clients about their personal concerns and legal issues, formulating a comprehensive plan of representation and acting on every detail of the legal strategy. Former clients who have put their trust in the firm include actress Bette Davis, and the families of New York Yankee Thurman Munson, singer/songwriters Ricky Nelson and John Denver, as well as KFI traffic reporter Bruce Wayne.